This is one of those quotes that I categorically classify as "Did Luther Regret the Reformation?" They are typically posted by those dedicated to defending the Roman church. Historically, such "shock" quotes served as propaganda used by pre-1930 Roman Catholic controversialists. 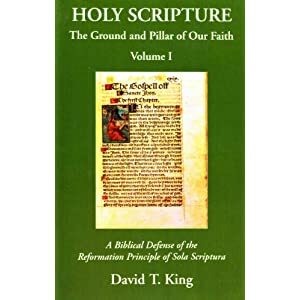 Those writers put forth the conclusion that the Reformation was a failure: it didn't produce any real fruit, and Luther's own words and the state of Protestantism at the time prove it. The argument goes: Protestantism isn't a movement of the church. It is the result of heresy, and heresy never leads anyone to true holiness. Then statements are typically brought forth from Luther's career, indicting him of regret for starting the Reformation. Most of these pre-1930 books had fallen into obscurity, but with the arrival of the information explosion brought forth by the Internet, these quotes made a comeback. It's not at all uncommon to visit discussion forums like Catholic Answers and find these "regret" quotes taking center-stage. Let's take a closer look at this quote and see what's going on. Let's see if the quote proves Luther's "remorse on the effects of his 'faith alone and flee from good works' doctrine," or it proves something quite different: that previous to Luther the people were compelled to support the Roman church, and in fact it was a monetary controversy (indulgences) that played a crucial role in sixteenth century history. While Luther was angry that once the people were not financially compelled, support for the local church dwindled, he was not remorseful about freeing the church from the overbearing Papacy. Whether the person at Catholic Answers took the quote from O'Hare's book or not, someone at some point did, and that's why it's on the Internet (now being disseminated by cut-and-pasted and plagiarism). To borrow from this Catholic Answers participant: today many people will read a biased and poorly researched web-page or book about Luther and think they are well informed about him. “Since the downfall of popery, and the cessation of its excommunications and spiritual penalties, the people have learned to despise the word of God. They care no longer for the churches: they have ceased to fear and honour God. It is the duty of the elector, as supreme chief, to watch over and defend the sacred work, which every one abandons. It is his duty to oblige the cities and villages, to raise schools, sound masterships, and support pastors, as they are bound to make bridges, roads, and raise public edifices. I would wish, if it were possible, to leave these men without preacher or pastor, and let them live like swine. There is no longer any fear or love of God among them. After throwing off the yoke of the pope, every one wishes to live as he pleases. But it is the duty of all, especially of the prince, to bring up youth in the fear and love of the Lord, and provide them with teachers and pastors. If the old people care not for these things, let them go to the d—l. But it would be a shame for the government to let the youth wallow in the mire of ignorance and vice" [Luther's werke, Ed. of Altenberg, t. III. p. 519. Reinhard's Sämmtliche Reformations predigten, t. 3. p. 445]. example of the quote I could find (in this English form) used the same documentation. Looking at the later reference first, here is Reinhard's Reformations Predigten, tom, iii, p. 445-446. This context contains a discussion about Luther's view on schools and education, including an extended passage from Luther's An die Ratsherren aller Städte deutschen Landes, dass sie christliche Schulen aufrichten und halten sollen (1524) (LW 45:339-378), but there is no inclusion of the quote in question. The context presented by both Audin and Spalding give off the appearance that the quote is from Luther's 1530 treatise, "A Sermon on Keeping Children in School" (LW 46:207-257), but the quote is not found in that treatise either. In regard to the first reference, "Luther's werke, Ed. of Altenberg, t. III. p. 519," this is to the Altenberg edition of Luther's works, "Die Altenburger Ausgabe von Luthers" (1661-1664), Alle Deutschen Bücher und Schrifften des theuren, seeligen Mannes Gottes, Doctor Martini Lutheri: XXV.-XXVIII. Jahr, Volume 3. Here is page 519. The quote is from a letter Luther penned to Elector John of Saxony, November 22, 1526. The letter can also be found in WA Br 4:135-137 (a nice clear German copy of the letter can be found here). As alluded to by O'Hare, the text is in Walch (21:156). The letter was not included in the English edition of Luther's Works, but was translated by Preserved Smith in Luther's Correspondence and Other Contemporary Letters, vol II, p.383-385. There is another English translation here, and a partial English translation here. 743. LUTHER TO THE ELECTOR JOHN OF SAXONY. DeWette, iii, 135. German. (Wittenberg), November 22, 1526. Grace and peace in Christ. Serene, highborn Prince, gracious Lord. For a long time I have brought no supplications to your Grace, and they have now accumulated. I hope your Grace will .be patient. There is nothing else for me to do. In the first place, gracious Lord, the complaints of the pastors almost everywhere are immeasurably great. The peasants will simply not give any more, and so great is this ingratitude for God's holy Word among the people that beyond all doubt God has a great plague in store for us. If I knew how to do it with a good conscience I would even help to bring it about that they should have no pastors or preachers and live like swine, as, indeed, they do. There is no fear of God and no discipline any longer, for the papal ban is abolished and everyone does what he will. But because all of us, and especially the rulers, are commanded to care for the poor children who are born every day and are growing up, and to keep them in the fear of God and under discipline, we must have schools and pastors and preachers. If the older people do not want them, they may go to the devil; but if the young people are neglected and are not trained, it is the fault of the rulers, and the land will be filled with wild, loose-living people. Thus not only God's command, but our own necessity compels us to find some way out of the difficulty. But now the enforced rule of the Pope and the clergy is at an end in your Grace's dominions, and all the monasteries and foundations fall into your Grace's hands as the ruler, the duty and the difficulty of setting these things in order comes with them. No one assumes it, or can or ought assume it. Therefore, as I have said to your Grace's chancellor, and to Nicholas von Ende, it will be necessary for your Grace, as the person whom God has called to this work and entrusted with the remedy, to have the land visited as quickly as possible by four persons; two whose specialty is taxes and property, and two who are competent to pass on doctrine and character. These men, at your Grace's command, ought to have the schools and parishes set in order and provided for, where it is necessary. If there is a town or a village which can do it, your Grace has the power to compel it to support schools, preaching places and parishes. If they are unwilling to do this or to consider it for their own salvation's sake, then your Grace is the supreme guardian of the youth and of all who need his guardianship, and ought to hold them to it by force, so that they must do it. It is just like compelling them by force to contribute and to work for the building of bridges and roads, or any other of the country's needs. What the country needs and must have ought to be given and helped along by those who use and enjoy the country. Now there is no more necessary thing than the education of the people who are to come after us and be the rulers. But if they cannot do it and are overburdened with other things, there are the monastic properties which were established chiefly for the purpose of relieving the common man, and ought still be used for that purpose. Your Grace can easily think that in the end there would be an evil rumor, and one that could not be answered, if the schools and the parishes went down and the nobles were to appropriate the monastic properties for themselves. This charge is already made, and some of them are doing it. Since then these properties are of no benefit to your Grace's treasury, and were given in the first place for purposes of worship, they ought rightly to serve this purpose first of all. What remains over your Grace can apply to the country's needs, or give to the poor. In the second place, Doctor Carlstadt has earnestly begged me to write your Grace to allow him to live at Kemberg, for he cannot stay in the villages because of the churlishness of the peasants, as your Grace can learn from this letter of his and the one to John von Greffendorf; and yet he shrinks from writing to your Grace himself. Since he has so far been quiet in public, and some of us, including Hans Metzsch, think it is a good thing because the provost of Kemberg could more easily have an eye on him, therefore I, too, humbly ask that your Grace will graciously grant him his request, although your Grace has already done a great deal and made himself much talked about on his account. God will repay your Grace the more richly. For his soul he is himself responsible; to his body and his family we ought to do good. The grace of God be with us. Amen. After going through this text, it becomes apparent that Audin (and his English translator) were a little loose with their translation of the context. The first thought in the German fourth paragraph actually appears to be the first thought in Audin's translation: "But now the enforced rule of the Pope and the clergy is at an end" = "Since the downfall of popery, and the cessation of its excommunications and spiritual penalties." The opening of the fourth paragraph in German text reads, "Nun aber in... Fürstenthum päbstlich und geistlicher Zwang und Ordnung aus ist." Audin completely took out "Erstlich, gnädigster Herr, ist des Klagens über alle Maß viel der Pfarrherrn fast an allen Orten" and appears to have replaced it with a translation of "Nun aber in... Fürstenthum päbstlich und geistlicher Zwang und Ordnung aus is"! This sentence from the fourth paragraph has to do with the fact that sine the Papal rule had ended in Germany, the "monasteries and foundations" were now under the control of the Elector. Martin Brecht explains, "In taking over the monasteries and foundations, significant portions of the possessions of the church had come to the sovereign, and therefore he was responsible for regulating the church's financial affairs" (Brecht, Luther 2, p. 280). In context, Luther is saying that since the papal rule has come to end, "the monasteries and foundations fall into your Grace's hands as the ruler." In the English translation I've utilized (Preserved Smith), what had ended was an "enforced papal rule" that produced funds to support local parishes. If one compares the rest of Audin's translation of the letter (above) with the original, there are some other curious features. For instance, Audin interjects comments made much later in the letter into earlier places. Notice where he puts the part about "bridges, roads, and raise public edifices." This he places before "I would wish, if it were possible, to leave these men without preacher or pastor." Overall, Audin created a piece of propaganda. "As the university is now in good order and the subject of worship has been taken in hand, there are two other matters demanding the attention of your Grace as civil ruler. The first is the wretched condition of the parishes. No one gives, no one pays. Offerings have ceased, and regular incomes are lacking altogether or are too meager. The common man respects neither preacher nor pastor, so that unless the parishes and pulpits are taken in hand by your Grace, and proper support provided, in a short time there will be no homes for the clergy left, and no schools or pupils. Thus God's word and service will fall to the ground. Therefore may your Grace permit God to make still further use of you, and may you be his true instrument, to your Grace's comfort and satisfaction of conscience. For to this God certainly calls you through us and through the existing need. Your Grace will find a way of doing it. There are cloisters, foundations, endowments, and funds enough, if your Grace will appropriate them to this purpose. God will also add his blessing, and will give the business success." One of the chief considerations was assuring that pastors and teachers receive a regular income. The difficulties that remained in this field occupied [Luther] for many years and had to be addressed again and again. Although large sums had earlier been spent for the clergy, now people were unwilling to give even a portion for pastors and teachers, so they had to go hungry or were considerably underpaid. Luther saw this as disdain for God and his Word. Brecht also includes a discussion about the letter from November 22, 1526, "The peasants were no longer paying their church obligations, and God's punishment for such ingratitude toward his Word was making itself known. Now that the sanction of the ban no longer existed, the will to pay had collapsed" (Brecht 2, 280-281). The context certainly does not prove Luther was showing "remorse on the effects of his 'faith alone and flee from good works' doctrine" as the Catholic Answers participant suggests. Rather, Luther was quite committed to the Reformation on November 22, 1526, this despite his angry concern for the lack of funds being contributed to the welfare of the new church. When some of Rome's defenders read Luther's comments from this letter, they view them as his admission to the failure of the Reformation. If one were to turn the argument around, the previous societal situation in which people were compelled to support the Papal church must mean that the "gospel" of the papal church was a success. This hardly follows, since many within the Roman church now admit to the societal and financial abuses perpetrated by her previous to the Reformation. People contribute funds to all sorts of organizations. If one simply uses the financial success of a church as proof for its God-ordained "gospel," then Benny Hinn or the Mormon church must be demonstrating the positive effects of their teaching. The letter is straightforward: people had been previously compelled to support the papacy, and the papacy supported the local parishes. Now that people were no longer being compelled, the people no longer gave enough funds to maintain the local churches. Perhaps Rome's defenders see this as an immediate "failure" of the Reformation. Perhaps. Would it not make more sense though to see this situation as the growing pains of churches now cut off from the Papal machine? Of course funds were insufficient. Had you or I been financially bled by an an institution, freedom from it would give one pause before contributing somewhere else. Regardless, the Lutheran church did manage to financially survive past the sixteenth century, and continues to this day. Of course Luther would complain about the lack of financial support for the church. Is this complaining "remorse" for the "effects" of the gospel? Not at all, despite his lamenting over the situation, Luther went on to preach the gospel and be an advocate for the well-being of the local churches for the rest of his life.